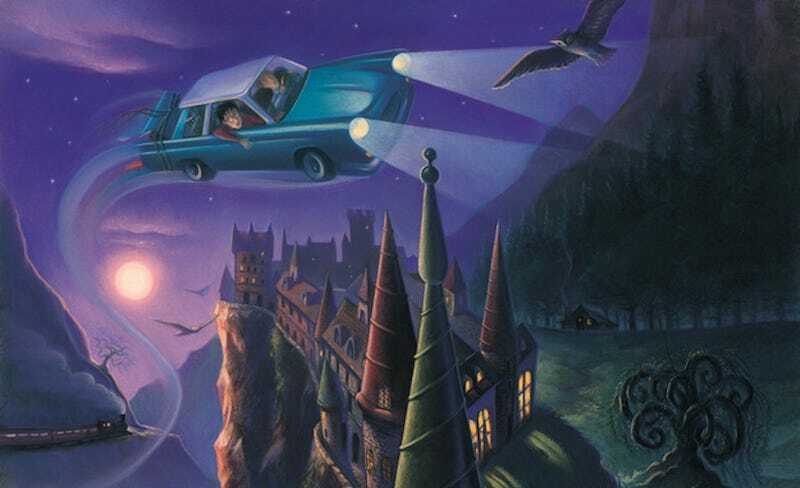 The Harry Potter books were originally issued with beautiful hardcover dust jackets featuring the warm and delightful illustrations of Mary GrandPré, who gave most readers their first idea of what the wizarding world looked like. Now, newly discovered unpublished pictures show much more of GrandPré's vision. Her now-iconic images are now being replaced by new covers by artist Kazu Kibuishi. But there are still some 450 million copies of the seven Potter novels featuring GrandPré's original artwork. We haven't learned much about these images, which began being passed around on Twitter and image-sharing sites earlier this week. Do you know the story? Tell us in the comments. UPDATE: Mystery solved, in part. These are prints of GrandPré's unused illustrations that are being sold by this art gallery. This art gallery is selling them, so I guess they&apos;re real after all!